This is another long overdue post, as I was in Cape Town in February 2008. 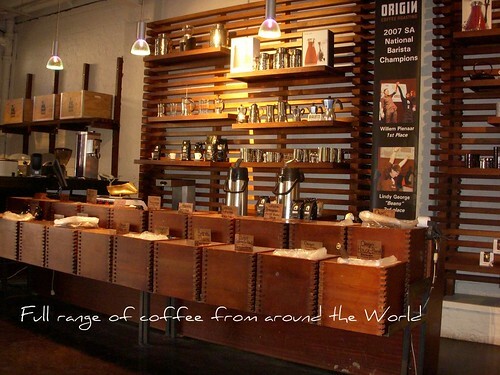 Again, any visit there has to include a trip to my favourite coffee shop in the Southern Hemisphere, Origins Coffee Roasting, 28 Hudson Street, de Waterkant, Cape Town. It’s one of those places that when I visit, it feels like home, as the staff now recognise me as that keen coffee drinker with a camera always talking about coffee machines and coffee beans. I was glad to see that Origins have expanded their horizons and are taking their self-imposed goal of educating South Africa about quality coffee seriously. For one, they now have a barista school at the back of their shop, where I was able to witness upcoming baristi (plural for barista in Italian) practising their latte art. I also met briefly again with Joel Singer, co-owner of Origins. Secondly, Origins now organise roadshows and they planned to have one in Johannesburg in late February. 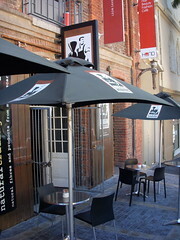 They now sell their blends to other cafes (Manna Epicure – see post on Cape Town Coffee Scene of 2008 below) and are now beginning to get a reputation. When I first discovered the place, I used to go around Cape Town mentioning Origins and everyone used to look at me like, “what and where is that ?”, but on this visit, they were like “yes, I’ve heard of it….” . In addition, one of their baristi won the South African National Barista Championships – the second year in a row that one of Origins home grown has won. So, I’m glad that Origins reputation is spreading as the “Artisan Roasters of Africa” in SA. 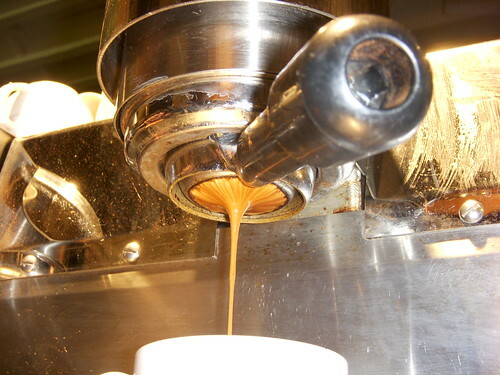 In the shop, they’ve changed their main coffee grinder to the Spanish made Compak, which is fast becoming the expert choice of the baristi world as Compak coffee grinders are now used at the World Barista Championships. In any case, I went for my double espresso and was tempted to try 2 Portugese custard tarts or pasties de nata and shot a video of a two heart latte art, which you can view on my YouTube page ( http://www.youtube.com/Lameen71) They still serve their coffees using a naked filter on their Synesso espresso coffee machine, which I was determined not to miss. This gives their espresso and edge. 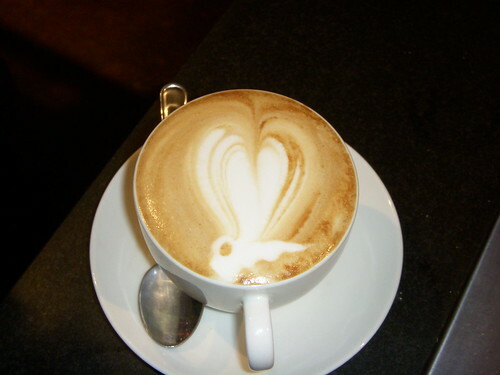 I also got to snap this unusual latte art piece – dragonfly of heart ? I bought some freshly roasted coffee and was glad to see other people in the queue enquiring and splashing out (an English slang for spending lots of money) on coffee. 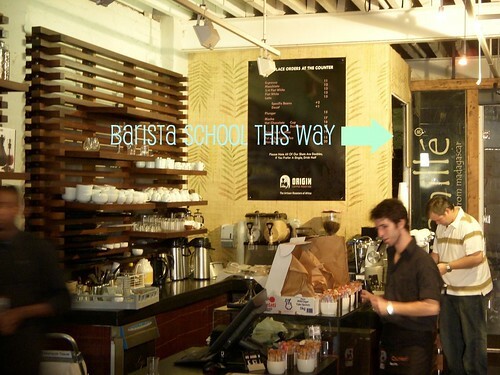 This entry was posted on Friday, April 18th, 2008 at 1:02 pm	and posted in Bean There - Cafes. You can follow any responses to this entry through the RSS 2.0 feed.